As one of the many laboratories for student learning and exploration, Pelletier Library is offering research awards to celebrate excellence in the research process. Interested in learning more about the awards and how to apply? Get more information here. Connect with Pelletier Library on Facebook! 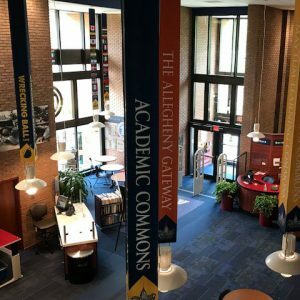 Read interesting facts about Allegheny College, learn about upcoming events in the library, and share your favorite past-time photos.